Durant Building is a small residential building company specialising in high-end projects, founded by Troy Durante in 2014. Troy brings with him over 16 years of experience working predominantly in Sydney but also in Vancouver & London. We have worked to establish the business to bring a wealth of experience with us. We wanted to start our own thing and take ownership over details, design and build a business that served not only the clients but also something that ourselves and our employees would be proud of. Our mission is to provide excellent building services to clients within the residential building industry. Troy's main values are based on efficiency, quality, customer service and professionalism. The Durant BDM team pride ourselves on customer service and client relations. We aim to be as transparent as possible when discussing costing, timelines and design ideas. We take pride in our professionalism and eye for good details & quality which sets us apart from our competition. Wishbone Constructions is a NSW building and construction business, founded in 2016 by licensed builders Ian Kwok and Sean Bray. 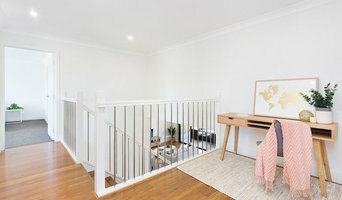 Originally from the Eastern Suburbs of Sydney, with over 20 years of building and carpentry experience, Ian and Sean have developed a strong track record for delivering high-end finishes through practical craftsmanship. Wishbone’s philosophy is to handle every project with a personal touch. As well as managing their builds, Ian and Sean are never far from the tools – making sure your project can be delivered on time, on budget and on brief. Ian and Sean’s portfolio includes projects in Sydney, the South Coast and the Southern Highlands. The team is currently focusing on jobs in Greater Sydney, the Southern Highlands and the Illawarra regions. Hume Building is a custom home builder in NSW who take pride of our well-earned reputation for outstanding service, the finest craftsmanship and our ability to use quality products. Established in 2006, we have grown to set a new benchmark for building quality and service. The key to our success is the importance we place on understanding you, your dreams and the environment that your new home will be built in. Whatever you have in mind for your dream home and whatever stage of the building process you are at, we are here for you. Hume Building works to provide an all-inclusive experience while still remaining affordable. We can build to any budget and we are certainly not a mass production project home company. We look forward to talking with you more about your new home. LM projects specialises in helping home owners build their dream home through our expertise, attention to detail and understanding your end goal. We help clients avoid the nasty stigmas that surround building your own home by going above and beyond to meet your needs and leave you with not only a new home you are in love with but a building experience that was seamless, painless and enjoyable. "He brings to every site an eye for detail, sense of balance, and thrives on the challenge of project management to meet Client and Architect requirements. Peter brings an unequivocal passion to his business, helping it to grow into the powerhouse it is now." 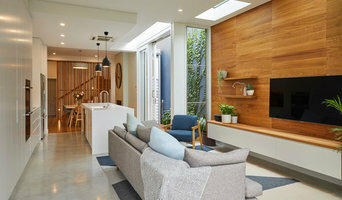 - Clinton Murray, Architect With a hard-earned reputation for delivering high quality work with attention to detail, and backed by almost thirty years of experience in the building industry, we work closely with architects and designers across New South Wales to create dream homes for our clients. We embrace architecturally challenging projects and enjoy strong relationships with all of our clients and contractors, with the majority of our work coming from referrals or architects. Most of our Sub-trades have been with us for twelve years or more. They understand our expectation of high quality workmanship and harmonious job sites. We employ apprentices regularly, training them to a high standard to ultimately provide us with the best possible qualified tradesman. Although we are honoured to have won awards or been finalists at the prestigious Housing Industry Association Awards, or Master Builders Association Awards, our best rewards always come from the complete satisfaction and recognition of our clients. South Coast Homes design and construct custom homes without the hefty Architect fees. For over 15 years, Killmore & Sons Pty Ltd, Collyer & Miller Pty Ltd and GN Williams Builders Pty Ltd have combined to create a unique service that puts the partnership of the Client, the Designer and the Builder at the forefront of building new homes. With over 100 years of combined experience and local knowledge we provide the best chance possible to make sure you end up with an amazing home that is not only a joy to live in but more importantly one that reflects your individuality and lifestyle. If you are paying for custom, make sure that you get custom! PJP Homes has been established since September 1993 and during this time has built up a team of quality tradesmen, who are dedicated to providing first class workmanship and customer satisfaction. The principal of PJP Homes is Peter Phair who is a licensed master builder. PJP Homes is proud of its track record that all work over the last 20 years has been sourced from referrals or further works for previous clients. PJP Homes has a long term commitment to quality, project management, efficiency and customer satisfaction and this has earned the Multiple awards The relationship between builder and client is important; you want your building experience to be a pleasure. Projection Build specialises in detailed residential additions, renovations, refurbishments and of course, architectural new homes. Our mission is simple – to deliver quality projects that all parties can be proud of and that clients will love for years to come. We employ a modern and dynamic building and construction team, and we strive towards perfection in each of our builds and we love to work with our Clients. We provide a fresh and enthusiastic approach to building and construction management and pride ourselves as a complete building solution. Building is our passion and when you become one of our clients, you’ll have a dedicated team of skilled tradespeople and contractors working with you to construct your project. At MRT Constructions, we can help you at any stage of the process, from initial concept design to a complete well constructed home. Built by a builder that is focused on leaving less of an impact on the environment, and more of an impact on total customer satisfaction. Unique Architecture - Energy Efficient - Passive Design Approximately 40% of household energy is used for heating and cooling to achieve thermal comfort. The 40% of household energy used could be cut to almost zero in new housing through sound climate responsive design. With this in mind, obtaining a 7-10 star rated (NatHERS) home is very possible. Our Values It is well known that better relationships bring better results. A key to a great relationship is communication. A relationship built on honesty and trust is what we value. Combine this with our experience and professionalism, we pride ourselves in delivering to you the home that you dream of. Better View Building P/L is a residential building company that mainly does Extensions New Homes Duplex and Townhouses. We offer a high end residential building services at an affordable cost. Our quality and standards are what set us apart from our competition. We are very passionate about what we do and have a high level of pride in our work. Our main focus is to produce our clients a product that they fall in love with. Whether you’re undergoing home renovations or building from scratch, hiring the right home builder is essential. Your choice will determine the quality of craftsmanship, as well as how high your stress levels rise! 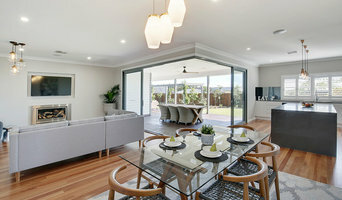 A home design or building project is a huge and multifaceted undertaking, so it’s important to find a local Wollongong, New South Wales builder you can trust to bring your vision to life and keep the process under control. The Houzz professional directory of home builders is a great starting point to choose the right builder for your needs. What exactly do Wollongong, New South Wales home builders do? Before any nails are hammered down, construction companies perform market research to determine whether the prospective site for a new home in Wollongong, New South Wales makes sense. They also survey the land to make sure it is suitable for construction, and obtain any necessary New South Wales permits. 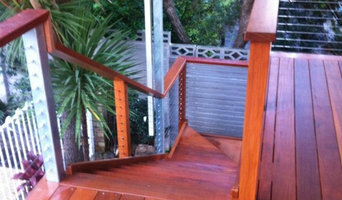 Scroll through this page to find contractors in Wollongong, New South Wales. Then, click on a professional to browse photos of their latest projects and see how their work compares to the scope of your project. Read reviews to see how other homeowners rate their work, and message the home builder or construction company directly to ask any specific questions.